አራት ኪሎ ደርሶም እራሱን ” ተራሮችን ያቀጠቀጠ ትውልድ ! 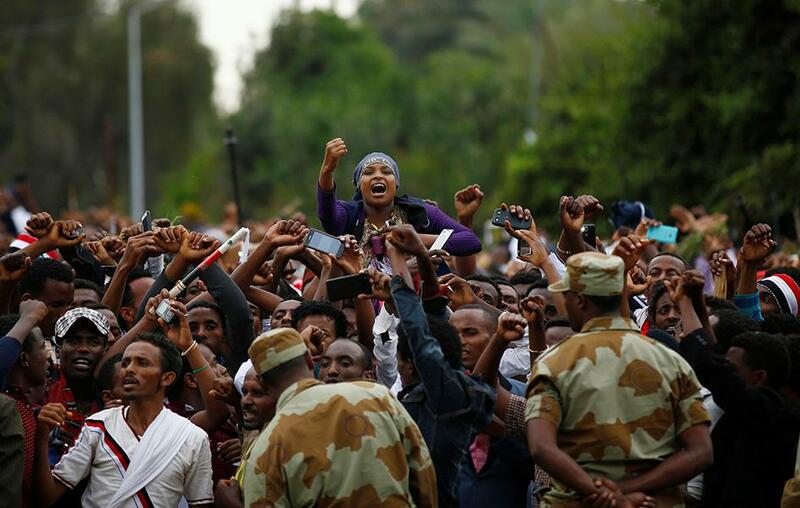 ” ብሎ በትዕቢት ጠራ ። መጥራት ብቻ አይደለም ማንም እኔ ባለፍኩበት መንገድ አልፎ ተራሮችን ሊያንቀጠቅጥ አይችልም ብሎ እራሱን አሳመነ ። ስህተቱ እዚህ ላይ ነው ! No matter how smart and strong Woyane may try to pretend, she will be kicked off Oromia by no one but The Oromo Qeerro very soon! It is not the amount of military and weapons the beast has gathered and accumulated; what matters is the courage!!! Get ready to face the inevitable! Adios!